The Leopard line is a favourite of mine, with its range of high beat watches beating at either 28,800 beats per hour (8 beats per second) or 36,000 beats per hour (10 beats per second). Launched in 1969 and produced into the mid-1970’s, there was a good number of models, mostly in traditional style, although some were also influenced by 1970’s style. The higher beat models are the more sought after, and are scarcer too. For more info on the Leopards, follow the Blogroll link on the right where you can find my reference article on these great timepieces. Awesome watch! These are probably my favorite vintage watches. The level of quality and performance they were producing in this line is outstanding. It’s a shame they had such a short run, but I guess that just makes them that much more collectable. I agree 🙂 I think if I were forced to collect only one type of Citizen, it would be the Leopard! There’ll be some more to see in the Featured Watch series over the next few months…. I have purchased a Leopard 36000 in working condition in a flea market. The serial is: 91115033 Should it be from 1969? The 33rd watch made? Any idea about its market value? Hi Cvadrat – firstly congratulations on buying a 36,000bph watch at a flea market 🙂 It is from 1969, November of that year. I think it will be the 15,033rd watch made. Value is difficult to advise on since much will depend on condition. Obviously it is working, and the 36,000 models are harder to find than the 28,800 ones, but the condition of the case/bezel and crystal is important too. 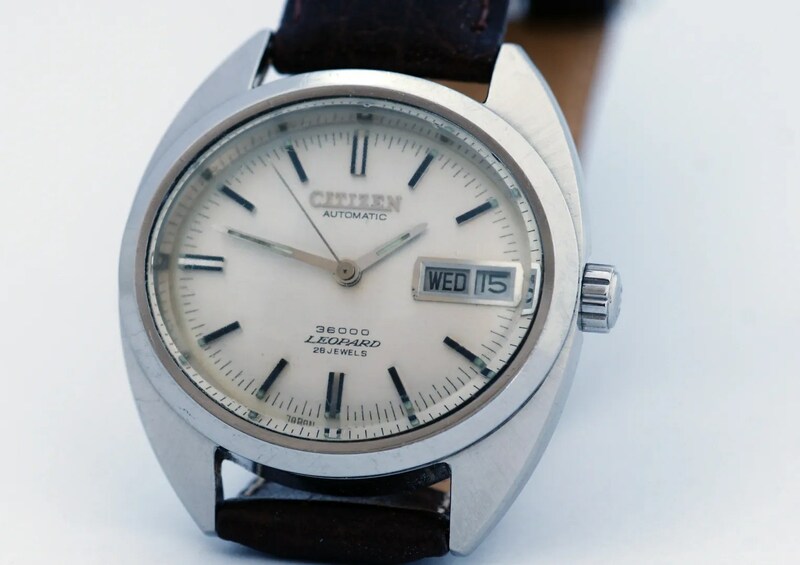 Since spare parts are extremely hard to find, there is not such a strong market compared, for example, to vintage Seiko. Also, is it stainless steel or gold plated? Steel is usually worth more than a gold plated watch these days. Have you any pics of the watch you could link to? Case, bezel and crystal are Ok with signs of certain use, of course. It is stainless steel and with a grey dial. Yes, I have pictures of it. If you want just tell me where to send them to you. Sorry, I didn´t read your message in detail. Hi, I have inherited a citizen leopard 36000 28 jewels. Its number is 10700001 and it is marked as parawater, rather than waterproof, so I am assuming it is from the 1960s. Am I correct? The watch works flawlessly, is steel, has a steel mesh strap and few markings. It’s an amazing watch! Could you confirm the date of production? Many thanks, Francesco. The Leopards are from the very late 1960s to the early 1970s, and ‘parawater’ can still be found on some watches up to 1973. In fact one of my Leopards is ‘parawater’ from 1973. 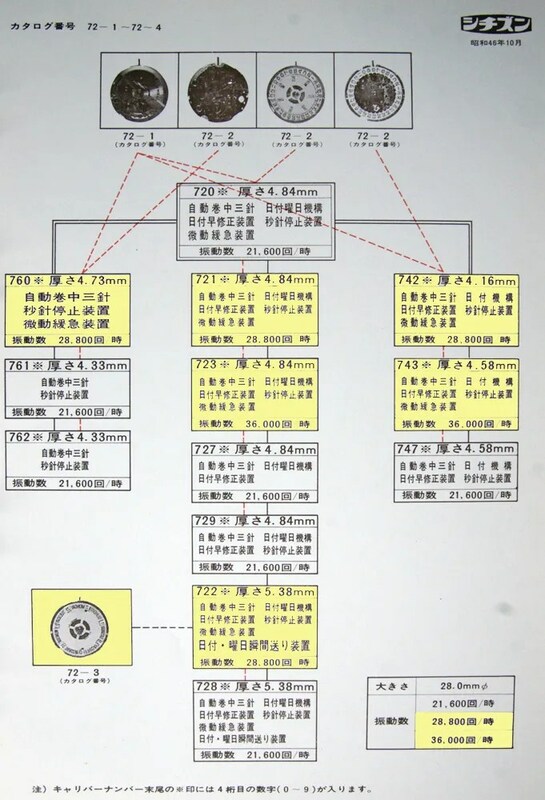 What is the model number if it has one (e.g. 67-2050) and the case number (e.g 4-720903) on yours? Many thanks for the information, and many thanks for the advice. I will certainly take it for revision. I must say that it works perfectly, and I have had it for some 15 years! Anyway, in response to your query (and if I am reading this correctly), the model number is 67-2050 and the case number is 4-720903 TA. you’re welcome 🙂 You have the same model as mine – as you can see from the pics I have posted it’s not in the best of condition, and needed a repair to the rotor, but it runs very well now. Firstly, I’ve been stopping by your blog for a while now and greatly admire your celebration of vintage Citizens…wonderful, generally underappreciated watches I think. Has been in storage since late owner deceased 20 yrs. needs new battery. After a request for a ‘buy now’ price was granted this morning, I was able to secure a 67-2050, on it’s original mesh strap for a ‘steal’! I’m now looking forward to enjoying one of these very fine timepieces. All the best with your Citizens. Apologies for the (very) slow response…one of those months! I received the Leopard, although cosmetically very tidy throughout (crystal is fairly scratched though), unfortunately, it’s a ‘non-runner’ at this stage. All is clean & tidy inside, and everything moves nice & freely…it just doesn’t want to kick into life. When you’ve pulled the crown out to adjust, and push it back in, it will sometimes tick away for a few seconds…I’m hoping it’s just needing an oil/service? Anyway, the slight disappointment was tempered somewhat by the purchase a week or so later of a ‘Highness’! 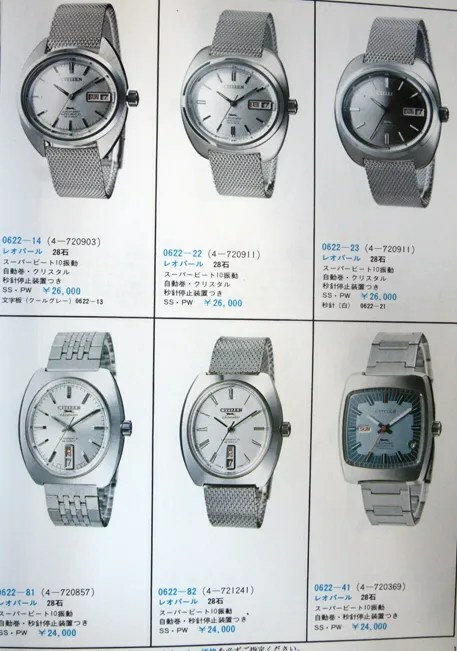 I also just saw today’s entry on the UNI 19 Jewel, yours looks lovely…I have one from 1965, it’s the ‘double crown’ case model that looks very much like Seiko’s Silverwave from the time. If you’d like some photos, let me know. 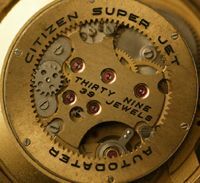 Thanks again for the wealth of information on your pages regarding these great vintage watches! Hi Mark, sorry to hear the Leopard isn’t running at the moment. It could just be in need of a thorough clean and service – hope so anyway. Great to hear you have acquired a Highness, not many of these are seen. Which model did you get and have you any photos of that yet? And you have the most desirable of the UNI models – I’d love to see photos of that, I think they look very nice indeed. 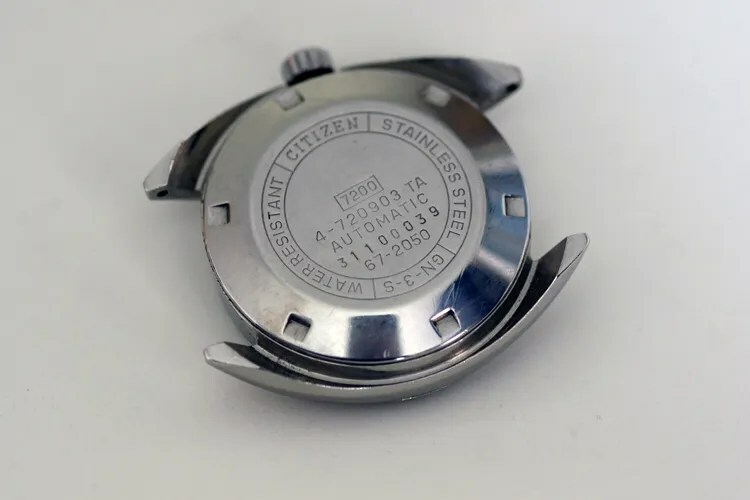 Hi my name is Billy and i found your blogpage after i searched on the interntet about this watch!I cant find any more information on other sites so i decide to write here! I realy dont know anything about watchs at all.I found on some lost boxes this watch after many years i had lost it. it was gift from my grandpa before he die! its a citizen automatic 36000 lepoard 28 jewels. Sorry for my english and i hope i didnt bother u much! Thanks a lot! Hi Billy, thanks for visiting my blog – the lack of information on the internet about vintage Citizens is why I started to do my research and then this blog 🙂 First of all, your English is fine! 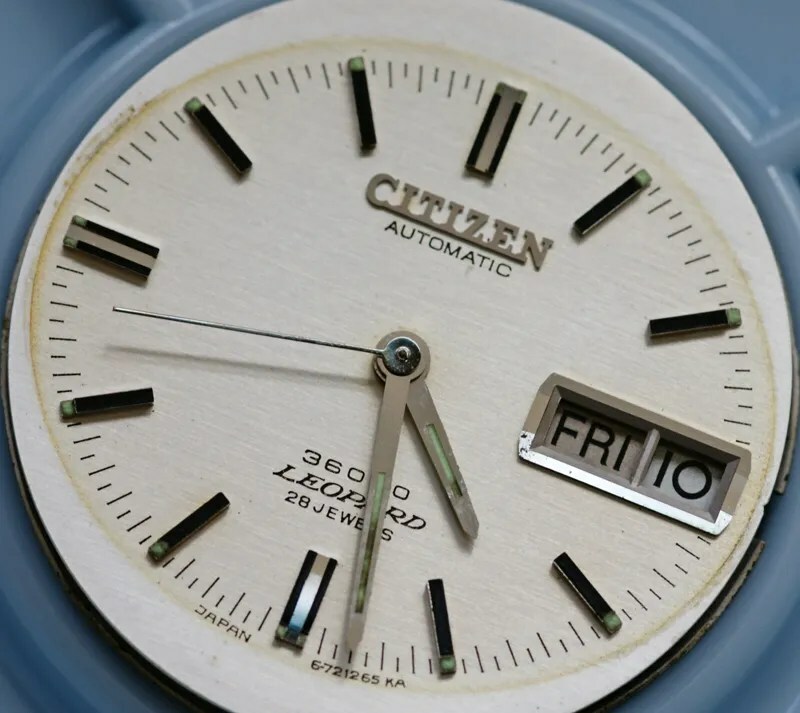 And secondly, your grandfather’s watch is definitely not a regular one; it is one of Citizen’s finest, a high grade model from the ‘Leopard’ family 🙂 It’s wonderful to hear that you have found it after it got lost for a while – something now to treasure in memory of your grandpa I think. 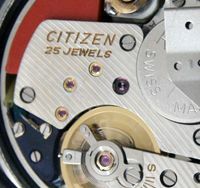 The number ‘2’ in 72 indicates that these movements have day and date complications (74 indicates date only). 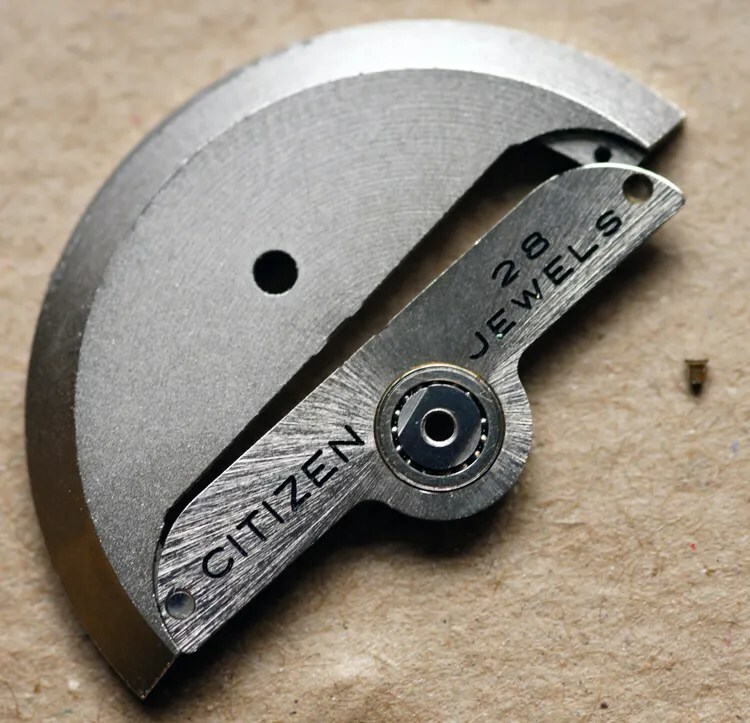 These movements are very good quality, and were at the peak of Citizen’s expertise in mechanical watch building. 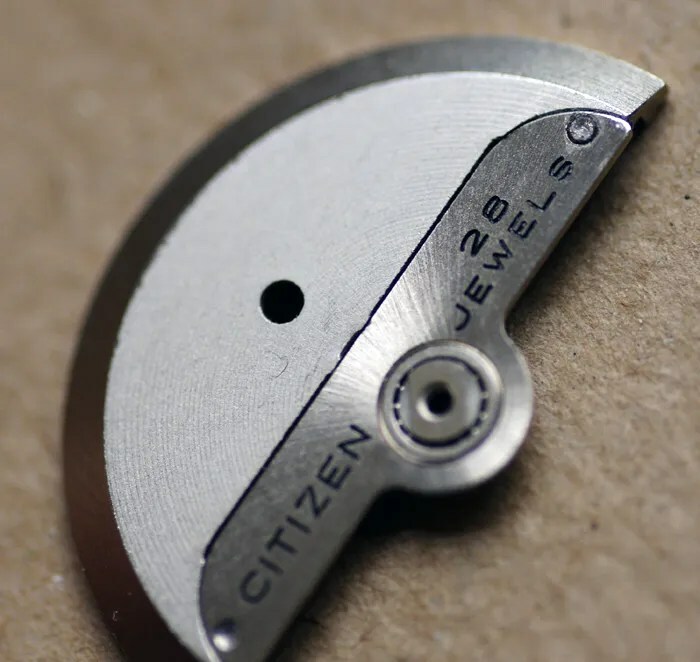 In good condition they are very accurate – high-beat movements can be finely adjusted to give excellent time-keeping – and the same movement that’s in yours was given some even finer tuning and was used in a couple of chronometer grade models. Although an automatic it can also be hand wound, which is helpful to get it going if it’s run down. 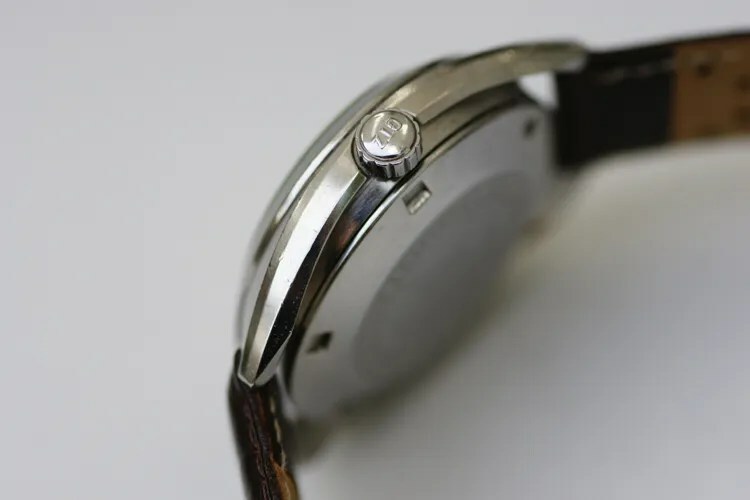 If you are planning to wear your watch regularly, or if it is not running very accurately and/or stops when not in use after only a few hours, I would recommend getting it serviced. 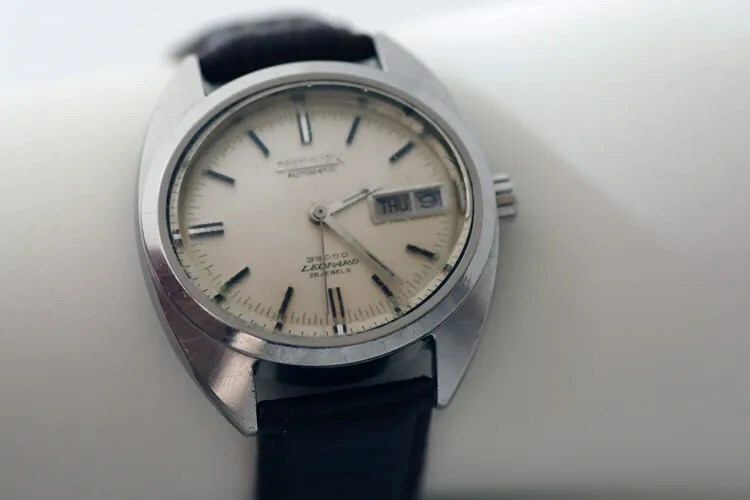 Not cheap, but important to keep it in good condition, especially given it’s high-beat since they wear more quickly than standard beat watches. 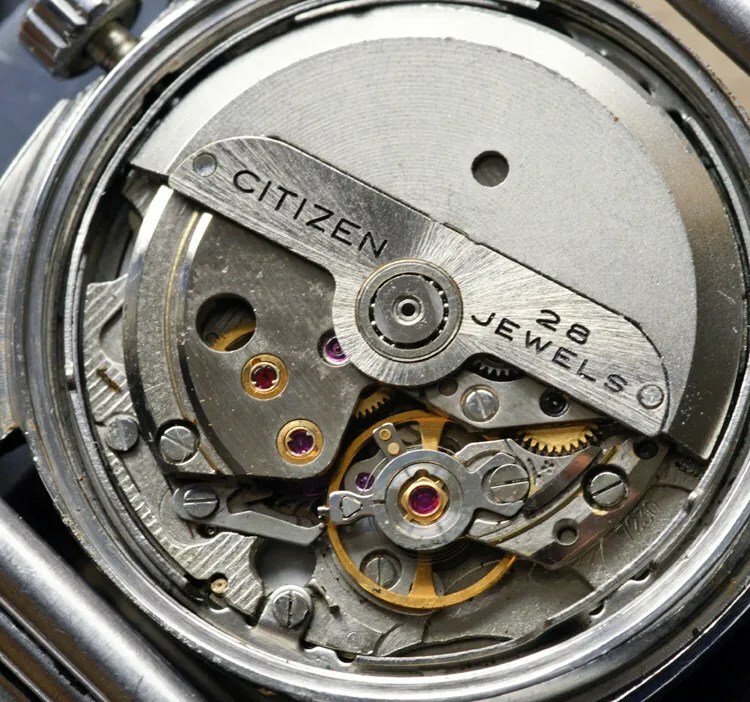 If you are thinking of getting it serviced you must find a good watch-maker who knows vintage watches, and please be aware that parts can be very difficult to find (another reason for a service to keep original parts in good order). The last thing you want is a poorly skilled repairer to make a mess of it!! 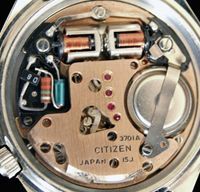 21100991 is the serial number, which is unique to your watch. The first three numbers (211) give us the year and month it was made. So it was November….but we need to know the decade in which it was made. And these models were from the very early 1970s, in fact they were introduced in 1970 and were only produced for a few years since the quartz revolution was then just about to start. This means that your watch is from 1972. Finally, value is a difficult one – I try to avoid giving an opinion since values can vary for a variety of reasons. From a collector’s point of view, a high-beat watch is of interest since they are higher quality, so that’s in its favour. Citizens are not collected nearly as much as other makes though, which holds value back so it’s not going to make big money. Condition is, of course, very important. To state the obvious, a piece in very good or mint condition is going to be much more valuable than the same model with lots of wear. To get an idea of value, try a search of eBay (using ‘vintage Citizen Leopard’ for example) and you should find information. There’s an example of your very model on eBay now with a ‘buy it now’ price of about $220 (195euros). WOW Stephen thats huge info 😀 it must took you to much time to write it all!! thank you so much my friend i have no words about the work you have done!! i realy realy thank you so mucht!! If somehow i can pay you back the favor i will be glad to do! !may i dont know anything for watchs but i am photographer and i can make anything you want with photoshop like rebuild old photos, new graphics etc etc so PLEASE if somehow i can help you with something too i will be very happy!! The only think i wanna ask you is if i dont use the watch and just use it 1-2 times per year like christmas events etc it could be damage the watch? i am not planing to use it regualry…. and i am worry if this damage the watch. so whats your option? its better to use it so it charges and keep working every day or just leave somewhere safe and dont move it at all? Just for the info yesterday i learned that the watch it wasnt just a gift that my grandpa bought from a shop for me. But it was HIS watch and he wanted to gave it to me so when i grow up i could keep it! !Its rly in good condition and exept a rly small scratch on the crystal it seams new! i wanna keep it alive in years so i can gave it to my grandchildrends too when the time comes…! 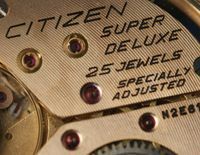 Hi Billys, you’re very welcome 🙂 I am always happy to provide info on Citizen’s vintage watches. It’s very kind of you to offer help with photography, I shall have to give that some thought! If your watch is running well, keeping good time and the day and date change properly, then I would think there is no problem in wearing it occasionally as you describe. I rarely wear some of my watches so I don’t have them serviced if they are working correctly. If the old oil has got dry, then prolonged running is likely to cause excessive wear, so as you know I would advise against any frequent use unless it is serviced. 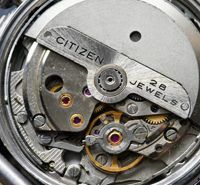 It’s great to hear that you have inherited the watch form your grandfather and that you intend to hand it down to your grand children in the future 🙂 In the meantime wear it in good health! anyway i realy thank you for all the help! you helped me realy much, i couldnt find any of these informations on internet and i appreciate all the work you have done! Thanks a lot. I will be very hapy if i could help u somehow with my photoshop skills so if you need any help with photos etc etc dont hesitate and e-mail me here : *********** ! Hi sweephand, thanks for all the information you’ve provided so far. I’ve just won one of these on eBay. It’s actually the exact same model as the one in your post and it’s still on the original mesh bracelet, although I’m planning to replace the strap and keep the mesh in my drawer. What’s the size of the strap, 18mm? I’ve been looking for an affordable high-beat (36k) and/or oval watch for a very long time and now it’s finally on its way to me. It’s described as working, but I guess it could be in need of service. I usually have my “normal beat” (18k or 21.600) vintage watches serviced by my respected watchmaker. However, I’m slightly worried about this one – how probable is it that he won’t be able to service it because the parts are somewhat exotic? Could you suggest somebody for a service of these vintage Citizens? It’s my first Citizen, my first oval and my first high beat watch. I’m excited and I want to keep it in good health!